Found this good looking super scale truck when i was on my way shopping for kitchen utensils yesterday. 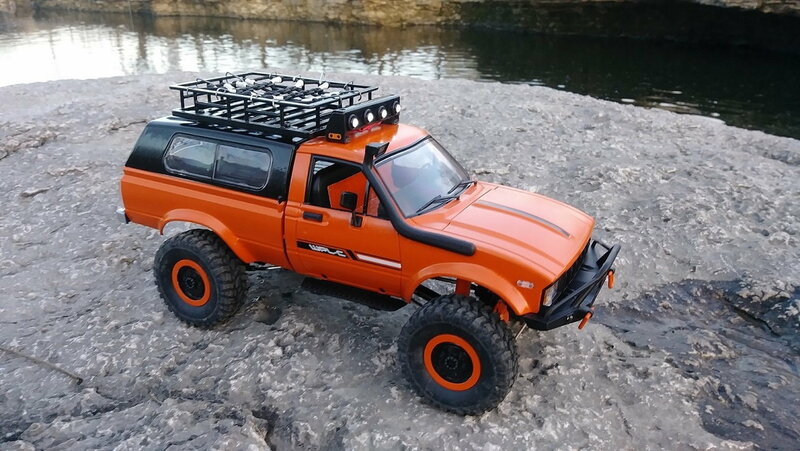 Its the 1:16 scale WPL series crawler models and this one is almost replica of old TOYOTA HILUX while others comes in military truck body. Cost about USD$35 for an RTR unit so i bought 2x boxes for being greedy...so the kitchen utensils can wait for next month cos i can eat some takeaway anyways. 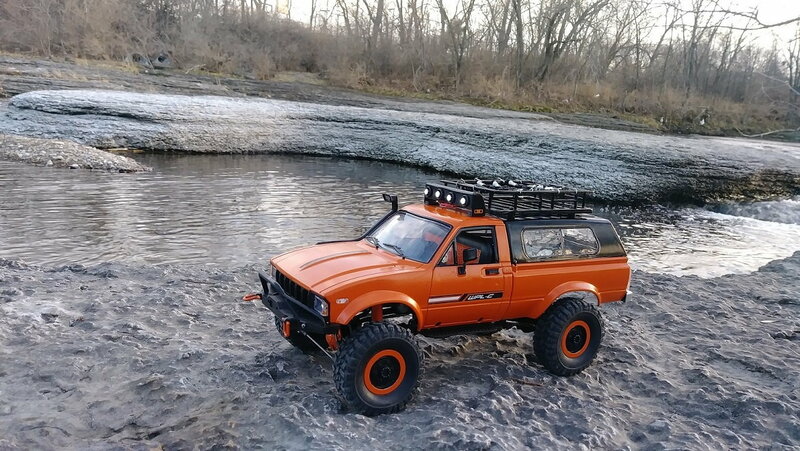 The RTR electronics is major garbage but the kit without it is gold, so begins my journey to do some mods and added extra realism to scale crawling looks. I'll keep posting some updates here about my log work on this cool kits here soon. 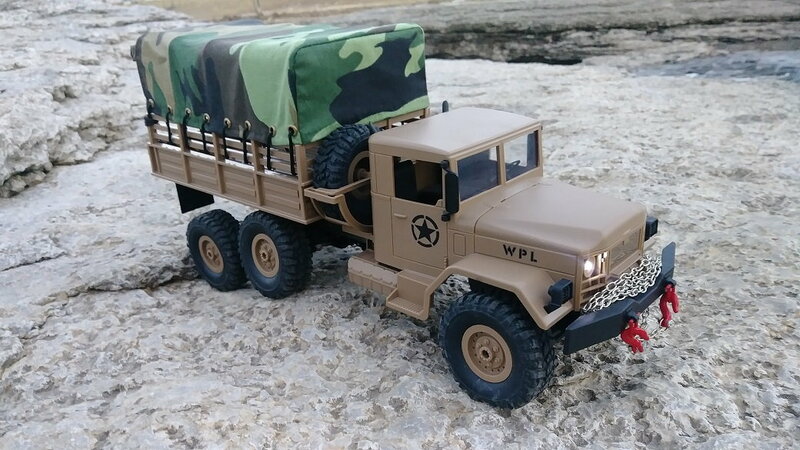 If you guys have a similar 1:16 WPL series share and post em here. Cheer. Process of dismantling and removing stock electronics begins. Tightening some loose parts and throw away unwanted plastics. I have a few of them and am just getting into the updating of them. 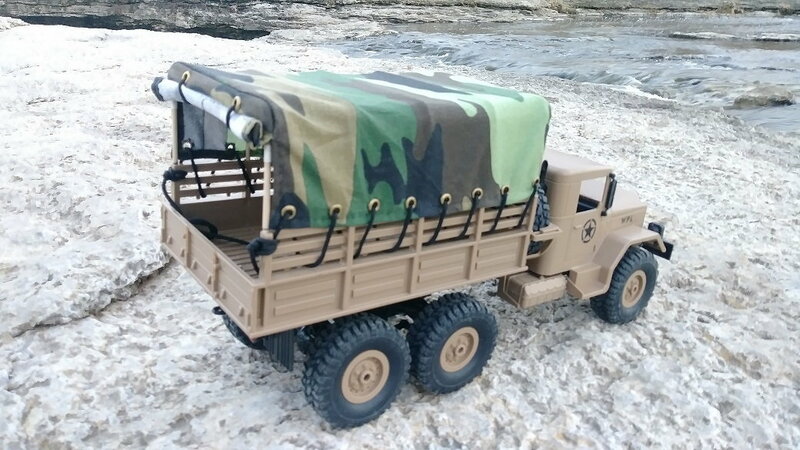 I have a 4x4 Military and a 6x6 military and one of the tojos on the way. Get the 2 speed box and bearings I use 18650 batt packs the 2 Spd has a bigger motor. 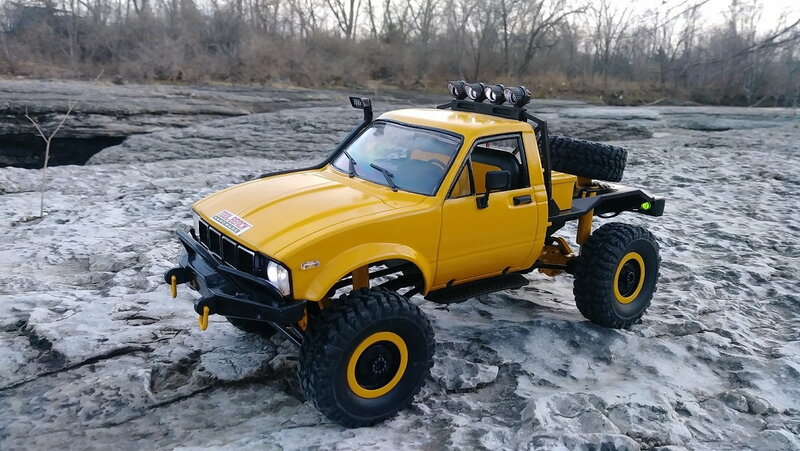 Does the HiLux have a servo or that trashy motor thingy? A standard 9g servo does the job but I use the carbon gear ones. I've ordered some MG digitals for the next one. It was originally just to compliment my tank collection as I have a few crawlers already but they are a bit addictive. Ah! I just looked at your pics. Get a 3ch radio, I use one of these..
You need the 3rd Ch for shifting. Notice the 370 motor. It has a switchable brake and handles about 10A with 20A burst. They work OK for mine so far. 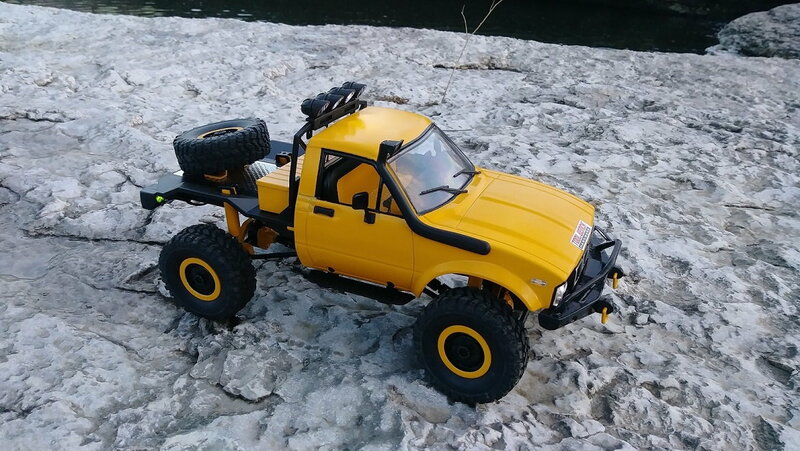 Now they make a great little toy. They're not an SCX10 but they look SO cool next to my armoured vehicles. Thanks for your parts suggestion Brycevr, really helps to narrow down the build. Btw just sharing our FPV driving stroll with WPL C14 on weekends. Last edited by Orange617; 12-26-2018 at 01:28 PM.